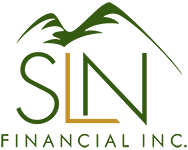 October 5, 2016 - Build Retirement Money With a Deferred Annuity | SLN Financial, Inc. So, you’ve saved with your 401(k) and maxed out your IRA contributions and other traditional retirement-savings strategies. And you still have taxable money that should be helping you develop lasting retirement income, rather than staying tucked away in a regular savings account. If you’re not already using deferred annuities — and you still want to grow your assets — you may want to consider this financial strategy for your retirement. Annuities are an insurance product designed to create a steady cash flow during retirement with guaranteed minimum returns1. Unlike life insurance, which covers you and your family upon death, annuities are here to provide the financial support you need while you’re alive. Deferred annuities allow you to accumulate this money without paying taxes until you withdraw your funds. Two types of deferred annuities exist: deferred variable annuity and fixed deferred annuity. 1. Deferred Variable Annuity: These types of annuities allow you to invest your money in portfolios that include a variety of asset classes. Your money’s growth depends on your investments’ market performance. You usually have the freedom to move your money between portfolios and add and withdraw funds as you desire. Just note: If you take any withdrawals before you’re 59 1/2 years old, they are subject to taxes. Why choose a deferred variable annuity? If you want to have a more liquid investment, where you can move funds and be more flexible with your investment strategies, then this could be the option for you. 2. Fixed Deferred Annuity: These annuities lock in a fixed rate, which usually runs three to seven years. You typically have to keep your money invested for the whole duration but often have limited access to funds. Fixed annuities pay out a guaranteed amount based on your account’s balance. And just like a deferred variable annuity, you may have to pay taxes on any withdrawals taken before age 59 1/2. Why choose a fixed deferred annuity? If you want your money to grow at a fixed steady rate — and you don’t think you’ll need to access more than 10% of your invested money — then this could be a good savings strategy for you. Using deferred annuities can be a helpful tax strategy, because you don’t have to pay any taxes until you withdraw funds . That means money grows tax free. Just keep in mind that tax-free growth doesn’t mean you lessen your tax liabilities. Instead, this approach enables you to postpone those tax payments until you truly need the money. In addition, should you unfortunately pass before collecting your annuities, your heirs can claim the remaining unused balance. Overall, deferred annuities can help build the retirement income you need — but you should probably wait to use them until you’ve maximized your other retirement contributions. If you’d like to explore your retirement-income strategies using deferred annuities — or revisit your current annuities to ensure they’re the most efficient strategy for you — we’re happy to talk.